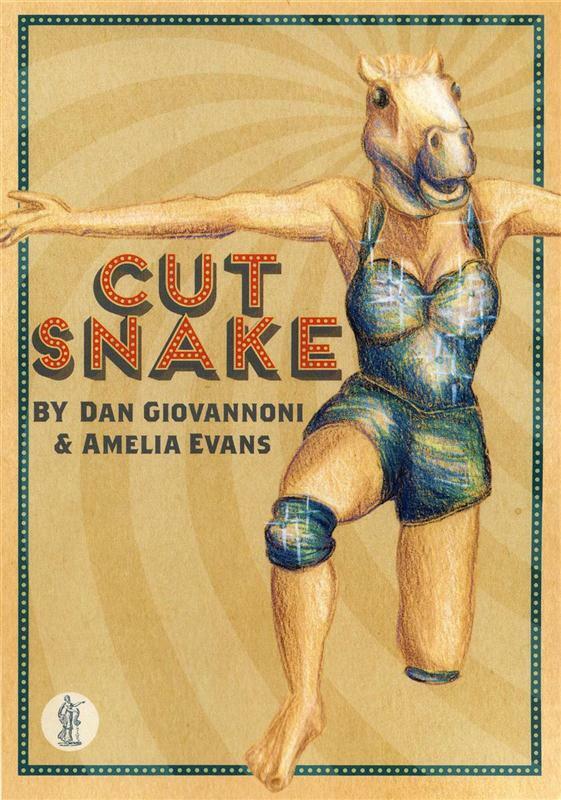 First performed in 2011 at the Sydney Fringe Festival, Cut Snake is a frantic one act Australian play that moves at a frenzied pace. With only three actors playing all seventeen characters and no formal scenery or change of costume, the audience is forced to concentrate and use their imagination. The story begins with one of the characters narrating his own death in a bus accident in Europe and from this incident a web of interconnected relationships and events is revealed. It is apparent from the earliest moments of the play that time is disjointed and the characters move fluidly from present to past, meeting such people as Jesus, John Lennon and Adam and Eve. Yet, for all its frantic pace, humour and conflating of time and space, Cut Snake explores the serious questions of coming to terms with the death of someone young, dealing with loss and grief and living an extraordinary life in a world which can be staid and depressing. The play is a fusion of styles using puppetry, dance, mime, circus, aspects of Vaudeville and Commedia dell’Arte and even echoes of Shakespeare in its soliloquies and Waiting for Godot in the direct addressing of the audience. It is a high energy, contemporary, non-naturalistic piece of Australian theatre and this edition has 30 pages of teachers’ notes, questions and activities to assist with the study of the play. Cut Snake is a challenging theatrical experience and certainly worthy of consideration for study by upper secondary drama students.